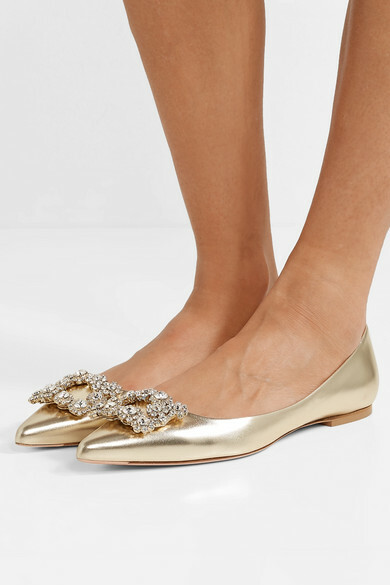 Swap high heels for Roger Vivier's flats when your feet need a break - they're just as dressy as any stiletto. 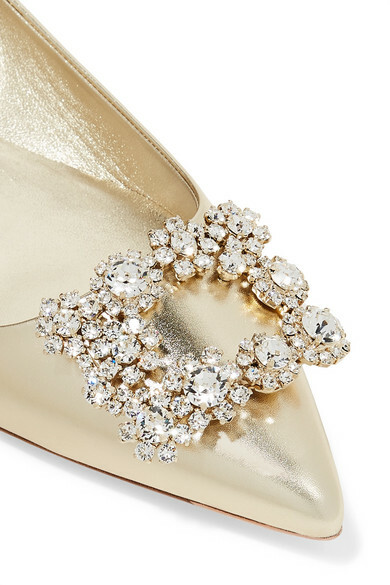 Made in Italy from metallic leather, this gold pair elegantly tapers to a pointed toe and is topped with the brand's signature crystal-embellished buckle. 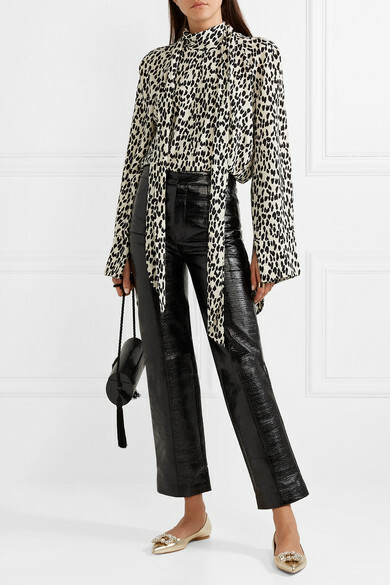 Shown here with: Petar Petrov Blouse, Totême Pants, Hunting Season Shoulder bag, Jennifer Fisher Ring.